The Wage Credit Scheme (WCS) supports businesses embarking on transformation efforts, and encourages employers to share productivity gains with workers by co-funding wage increases. Under the Wage Credit Scheme (WCS) introduced in Budget 2013 and extended in Budget 2015, the Government co-funded 40% of wage increases from 2013-2015 and 20% of wage increases from 2016-2017 given to Singapore Citizen employees up to a gross monthly wage of $4,000. Only Employers are eligible for the co-funding. In Budget 2018, it was announced that the WCS will be extended for three more years, i.e. 2018, 2019 and 2020, to support businesses embarking on transformation efforts and encourage sharing of productivity gains with workers. Government co-funding will be maintained at 20% in 2018. Subsequently, the co-funding ratio will be stepped down to 15% in 2019 and 10% in 2020. To ease business costs and support restructuring by companies, the Minister for Finance announced in Budget 2018 that the CIT Rebate for YA 2018 will be raised to 40% of the corporate tax payable subject to a cap of $15,000. This is an increase from the previously announced rebate of 20% of tax payable, subject to a cap of $10,000. In addition, the CIT Rebate will be extended to YA 2019 at 20% of the corporate tax payable, subject to a cap of $10,000. b) 50% exemption on the next $100,000 of normal chargeable income. All other conditions of the scheme remain unchanged. This change will take effect on or after YA2020 for all qualifying companies under the scheme. For example, if a qualifying company’s first YA is 2019, the current SUTE parameters will apply in YA2019 while the new parameters will apply in YAs 2020 and 2021.
b) 50% exemption on the next $190,000 of normal chargeable income. This change will take effect on or after YA2020 for all companies (excluding those that qualify for the SUTE scheme) and bodies of persons. The expiry of the PIC scheme after YA 2018 would mean that only 100% tax deduction will be allowable to a person who has incurred the qualifying IP registration costs from YA 2019 to YA 2020.
b) Enhanced from 100% to 200% on up to $100,000 of qualifying IP registration costs incurred for each YA from YA 2019 to YA 2025. 100% tax deduction will continue to be allowable on qualifying IP registration costs incurred in excess of $100,000 for each YA from YA 2019 to YA 2025. The tax deduction for staff costs and consumables incurred on qualifying research and development (R&D) projects done in Singapore will be increased from 150% to 250% from YA 2019 to YA 2025. All other conditions of the scheme remain unchanged. With the expiry of the PIC Scheme, the tax deduction for intellectual property (IP) in-licensing costs has reverted to 100%. This tax deduction will be increased to 200% for the first $100,000 of qualifying IP in-licensing costs per YA from YA 2019 to YA 2025. Qualifying IP in-licensing costs include payments made by a qualifying person to publicly funded research performers or other businesses, but exclude related party licensing payments, or payments for IP where any allowance was previously made to that person. The amount of internationalisation expenses that can automatically qualify for double tax deduction without prior approval from the International Enterprise (IE) Singapore or the Singapore Tourism Board (STB) will be increased from $100,000 to $150,000 per YA, in respect of expenses incurred from YA 2019. Businesses can continue to apply to the IE Singapore or STB on qualifying expenses exceeding $150,000, or on expenses incurred on other qualifying activities. All other conditions of the scheme remain the same. The IE Singapore and STB will release further details by April 2018. The 250% tax deduction on wages and incidental expenses incurred when business send their staff to volunteer and provide services to Institutions of a Public Character (IPC) under the Business and Institutions of a Public Character Partnership Scheme (BIPS) will be extended for three more years to 31 December 2021. 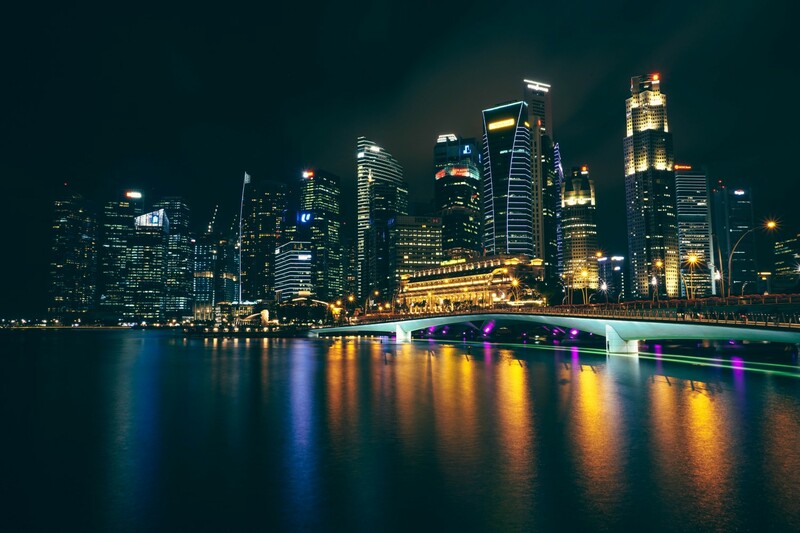 The Ministry of Finance (MOF) and the Inland Revenue Authority of Singapore (IRAS) are reviewing the administrative processes for the BIPS based on feedback and suggestions received. Details of any change will be announced in the second half of 2018. The administrative processes for the BIPS remain the same in the interim. The Government plans to raise the GST by 2%, from 7% to 9%, sometime in the periods of 2021 to 2025. The timing will depend on the state of the economy, the growth of Government expenditure and the buoyancy of the existing taxes. • an offset package will be implemented for a period to help Singaporeans adjust to the GST increase. Further details will be provided once the timing of the GST increase has been determined. The Government plans to introduce GST on imported services on or after 1 January 2020. Business-to-business (B2B) imported services will be taxed via a reverse charge mechanism. Businesses that make taxable supplies will not be affected. However, businesses that make exempt supplies or do not make any taxable supplies need to apply reverse charge. The reverse charge mechanism requires the local business customer to account for GST to the IRAS on the services it imports. The local business customer can in turn claim the GST accounted for as its input tax, subject to the GST input tax recovery rules. B2C imported services will be taxed through an Overseas Vendor Registration (OVR), where overseas suppliers and electronic marketplace operators that make significant supplies of digital services to local consumers are required to register with the IRAS for GST.